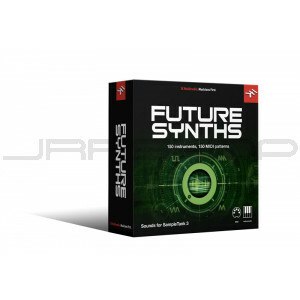 Spice up your tracks with this massive collection of dancefloor-ready synths! 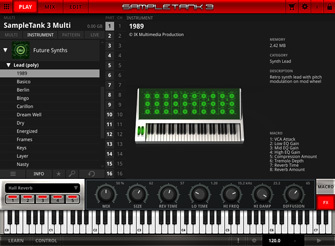 Be the future of dance music with Future Synths, a great sounding dancefloor-ready SampleTank 3 instruments collection. 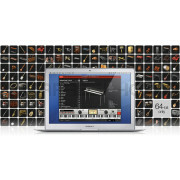 With it you’ll have a lifetime’s worth of sound design knowhow at your fingertips. It gives you an absolutely huge collection of easy-to-use synthesizer sounds that’ll cut through any mix right out of the box — no tweaking required! You get 150 instruments, 150 MIDI patterns and 4 multis that all combine to create a sonically powerful toolkit that has everything you need to create hard-hitting, hands-in-the-air dancefloor anthems in every electronic dance music genre from stadium EDM to underground techno….and beyond. 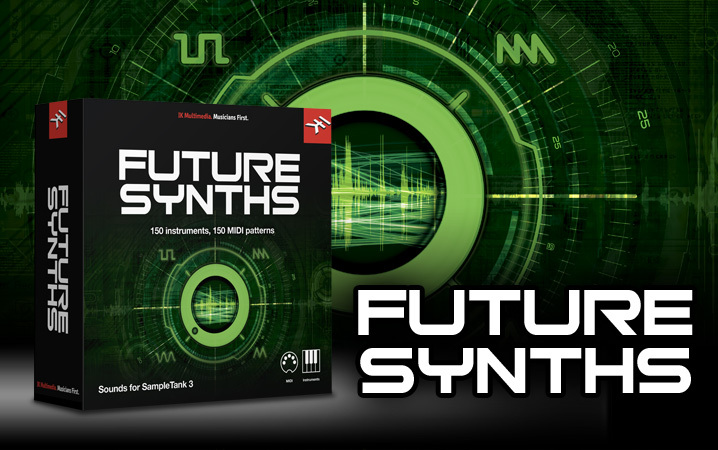 Primarily inspired by the sonic palette of top-tier DJ/producers like Tiesto, Hardwell and Afrojack, Future Synths gives you the sound of tomorrow, today. Its 150 instruments are grouped into 6 convenient categories, with a versatile range available in each: You get 40 clean and crystalline leads, 40 monster synth basses, 25 euphorically atmospheric pads, 30 upbeat plucks and 15 truly crazy FX. 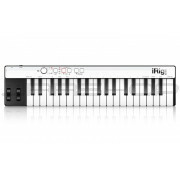 In addition to these synth sounds, you also get 150 MIDI patterns that have been programmed by IK’s resident team of expert dance music engineers to help kick start your creativity and set you on the path towards your next big hit. 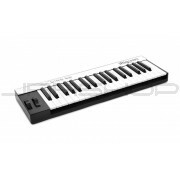 And while Future Synths has been influenced by EDM, the sheer quality of its sounds also makes it a perfect tool for producers working in other, more underground electronic music genres like Trap, Dubstep, House, Garage, Trance and Techno. It also makes for a great creative complement for Pop, Hip-Hop and Rock productions.